Got any birthdays coming up? Maybe an anniversary? You know, when chocolate-dipped fruits or a box-set of The Wire just isn't going to cut it. 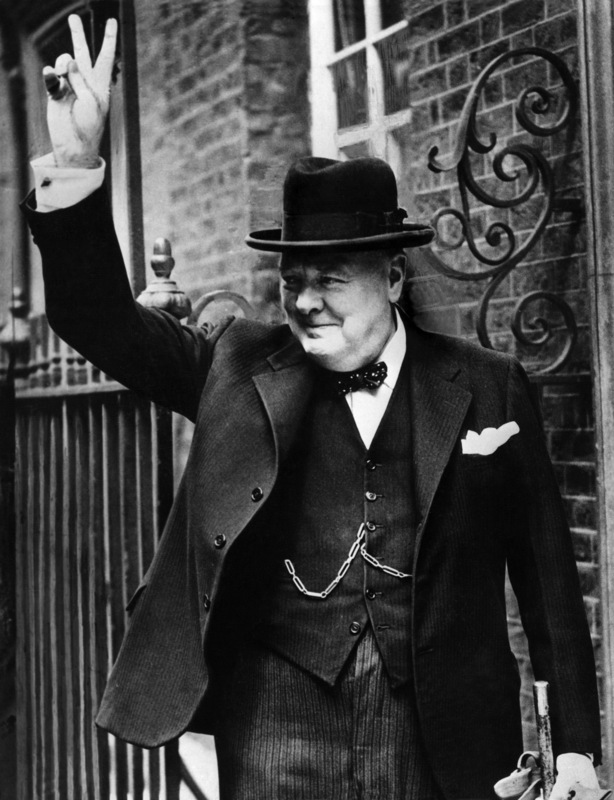 Well, there's a unique opportunity going down in the U.K. next month, so if you're coming up dry on ideas you better get yourself out there — a vial of Winston Churchill's blood is going on sale in Britain, nearly 50 years following the famed leader's death. In other words, if you're a junior-league mad scientist whose always wanted to clone Winston Churchill, your dream is one step closer to becoming a reality. Here's the story: Churchill was forced to visit London's Middlesex Hospital in 1962, according to The Guardian, for a nasty hip fracture that he'd suffered abroad in Monaco. Although we think of Churchill as at the height of his powers (and therefore prime of his career) during World War II era, he was actually born in 1874. So, already 87 years old and ailing badly, the possibility that he wouldn't survive much longer seemed distinct. So, when a vial containing his blood sample was about to be tossed out, a nurse named Patricia Fitzgibbon intervened, asking for permission to keep it. And so she did! The forward-thinking move means that now, after Fitzgibbon's death, this tiny vial of historically significant blood will be up for public auction. There's no telling yet how much it'll fetch, although The Guardian quotes Timothy Medhurst of Duke's Auction House (pictured below) as saying the vial's been apprised at £300 to £600 (that's somewhere from $463 to $927 in American currency). However, he also acknowledged that the real price could run far higher — it's hard to judge buyer enthusiasm for somebody's old blood sample, after all. It is probably the first time that such a personal piece of Churchill’s history has been offered on the open market. This year marks the 50-year anniversary of Churchill’s death. The blood is a poignant reminder of an injury which marked the beginning of the end for Churchill and, as such, we expect there to be great interest in it. It could sell for thousands. Which, frankly, seems kind of low for such a rare, irreplaceable piece of biological history. Obviously I was joking about the whole cloning thing — there are scant practical applications for a vial of Churchill's blood — but regardless, I sort of assumed such an artifact would come with a higher asking price. Anyways! You can bid on this rather macabre item at Duke's Auction House on March 12. But it's no big deal, I'm totally not asking for it or anything.